Sting has launched an app for the iPad to mark his 25-year solo career. 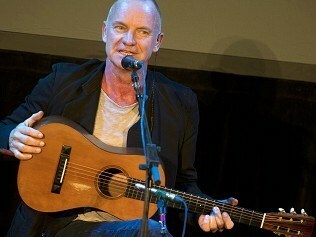 The singer introduced Sting 25 at the Apple Store in New York's Upper West Side. The "Appumentary" is a digital documentary of Sting's career. It features over four hours of music videos, concert footage, interviews and more. Sting says he's releasing it for free "because we don't know how much it's worth". The app also has video from Sting's 60th birthday party-concert last month at New York's Beacon Theatre, which featured performances with Bruce Springsteen, Stevie Wonder and Lady Gaga. At the event, Sting performed the song Fragile, dedicating it to Apple co-founder Steve Jobs and saying, "In some way he's created our future."